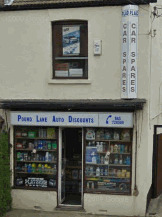 Looking For A Billericay Car Spares Shop? If you live in the town of Billericay and are in urgent need of some car spares or parts then you have two choices that you can make. Either you can look for a shop, or outlet in Billericay who may have the spares that you require. And over the last 30 years since we first opened our doors way back in 1981, we have been providing car parts to the whole of Essex, and Billericay too. Order Your Parts Online To Save A Wasted Journey! We have now made things easier for you to find prices, order parts or just have a little wander around our online parts store. We have over 150,000 parts, tools, accessories, and valeting products all ready for you to purchase whenever you see and click the "Shop Here Online" image, as seen here. By clicking on the image you will go directly to our sister site as you can see shown below. The store is open 24 hours per day to make your motoring problems a thing of the past. 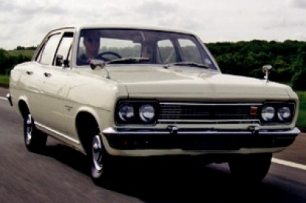 No more wasted journeys from Billericay looking for affordable, quality car products. Order your parts online for next day delivery at our store, and then come in and collect them when convenient to you. Take a look around now. You wont want to leave! Even old cars that might be being rebuilt in the gardens and garages of houses in Billericay, we can supply stocks of distributor caps, points, plugs, filters. Oils, Engine mounts to list a few. Do car spares shops in Billericay do this? Although we seem a long way from your home town, it is really only a very short drive. So Billericay doesn’t seem too far now I would have thought?